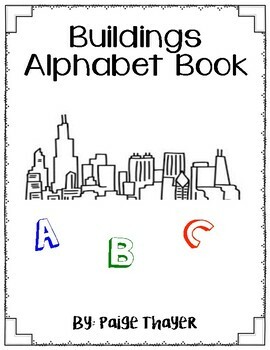 Alphabet book that lists buildings for each letter of the alphabet. Each letter has one page with a printed label, one with dotted letters for practice writing, and one page of just dotted lines for writing. 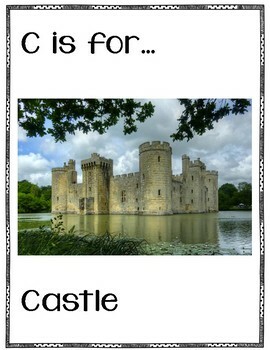 Can be used in creative curriculum buildings unit. 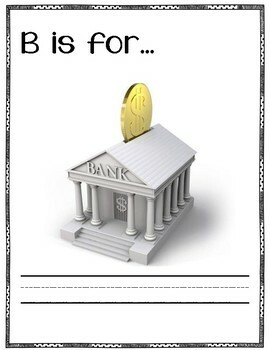 Perfect for class read aloud, small group work, or sent home as homework writing practice. 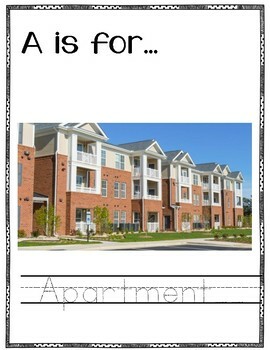 There is a list of all buildings at the end for those practicing writing.